13 ½” X 19” serigraph print--contemporary design. 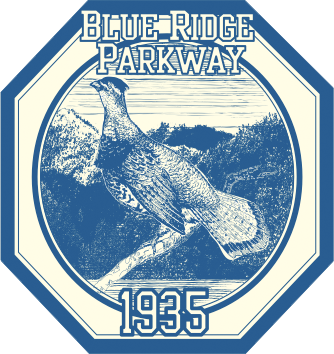 Blue Ridge Parkway is a roadway system connecting Shenandoah to the north with Great Smoky Mountains to the south. 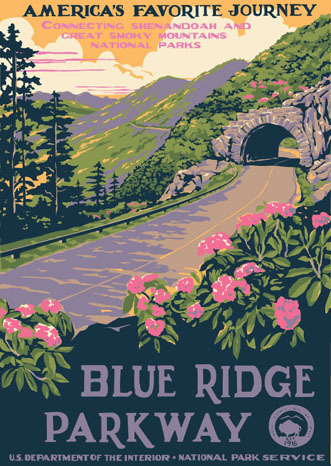 Many of the stone bridges, tunnels and guard rails were built by the CCC--here is our choice for this poster. 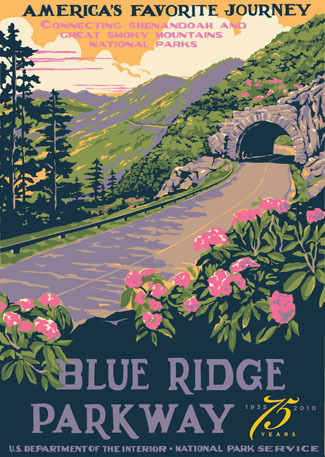 Every roadway in America should look this nice. 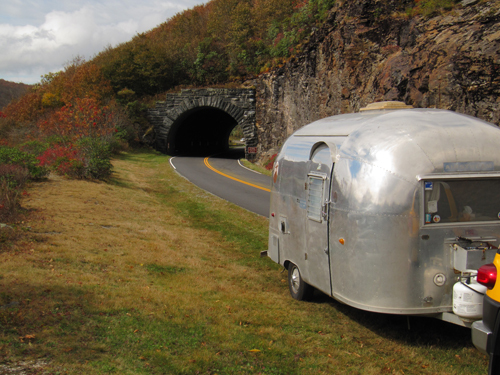 Experience the music and culture in the many towns along the way. Asheville, NC has a very nice visitors center and the fall colors are simply spectacular.